An integrated approach to managing soil and crops could help meet the demand of rapidly rising population while reducing greenhouse gases that drive climate change. 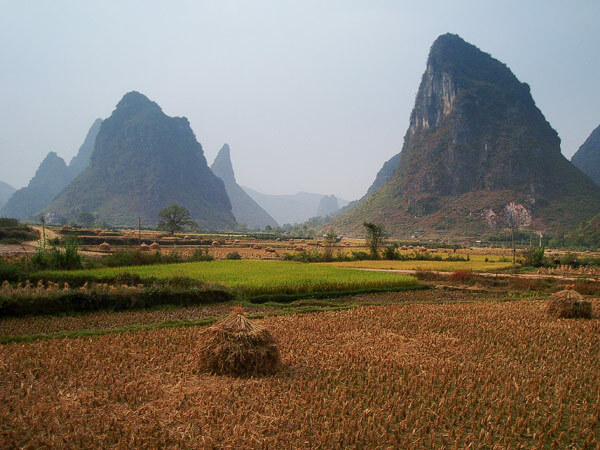 A new study compares current farming practices in China for staple crops including wheat to alternative approaches that can increase yield and lower environmental damage. Farming practices in China could be designed to simultaneously improve yields and reduce environmental damages substantially, according to a new study by Stanford biology Professor Peter Vitousek and a team of his colleagues at China Agricultural University. The integrated soil-crop system approach aims to tailor decisions like crop selection, planting, sowing and nutrient management to each field’s conditions in order both to enhance yields and to minimize environmental damage. Nitrogen fertilizer is used extensively in modern agriculture – and nowhere more than in China. Overall, Chinese farmers overuse fertilizer, with much of it ultimately polluting the air and water and contributing to hundreds of thousands of premature deaths each year. The production and transport of fertilizer also contributes significantly to agriculture’s share of greenhouse gas emissions that fuel climate change. In total, the team tested the four farming methods in 153 site-years of experiments between 2009 and 2012 in widely distributed sites within China’s regions of intensive agriculture. Of the four methods, the yield-maximizing approach produced the highest yields of corn, wheat and rice. Yields from ISSM treatment were a close second, reaching 97 to 99 percent of the levels seen in yield-maximizing fields. Crops grown in the ISSM approach also required much less fertilizer, and used it much more efficiently, resulting in nearly no wasted nitrogen and significantly lower greenhouse gas emissions. The authors predict that if farmers can reach even 80 percent of the yields seen in the study’s ISSM test fields by 2030 (when China’s human population is expected to reach its peak) on the same amount of land that Chinese farmers cultivated in 2012, grain production could then meet demand for both human and animal consumption. This would help ensure food security in China and make China’s role in global food markets more deliberate and predictable. At the same time, nitrogen losses could be cut by nearly half, thereby saving many lives, and total greenhouse gas emission could fall by one quarter. Moreover, the ISSM approach could be applied in other areas of the world, where it would boost global yields of major grain crops on existing farmland, while simultaneously reducing nitrogen use, greenhouse gas emissions and economic costs to farmers. Vitousek is the Clifford G. Morrison Professor in Population and Resource Studies in the Department of Biology and is a faculty affiliate of the Center on Food Security and the Environment at Stanford. He also is a senior fellow at the Stanford Woods Institute for the Environment and is a professor, by courtesy, in the Department of Environmental Earth System Science, School of Earth Sciences. Posted in Research Articles and tagged Cropping Systems.